I had a wonderful time meeting Greg (DR DANGER) Carpenter and his son Chris (DANGER JR) Carpenter. I was honored to be asked by Greg to assist in the filming of his return to Maquoketa. Greg and Chris really made me feel like I was a part of their TEAM DANGER, even though we just met a few days earlier. It was an experience that I will never forget and new lifelong friends in Greg and Chris. I havent met Cathie in person (DR DANGER's better half) but dealing with her before and after his event has been a charm. Great people. 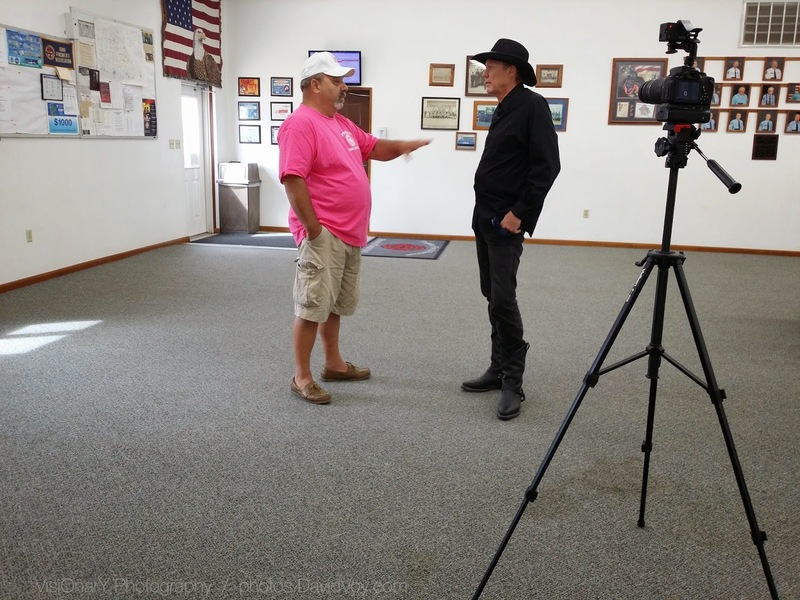 History Channel Show "American Daredevils"
In this return , he wanted to talk and show his appreciation for those who both stepped in to help, for safety and people who rescued him, like here at the Preston, Iowa Fire Dept. He also spoke to Middle School and High School students and town folk as well. More info, videos & photos soon.